Have you ever heard a particular singer's voice and thought..."Man. I would LOVE this person to sing me a lullaby." To be honest, before hearing Norwegian singer/songwriter Thomas Dybdahl's soothing vocals, neither had I. While Dybdahl is a complete original, his work has earned comparisons to music legends including Tim Buckley and Nick Drake. I also hear a little bit of James Blake in his voice, and I don't think that's a bad thing at all. The saddest thing is, this is the first I'm hearing of Thomas Dybdahl! Apparently, he has three platinum-selling albums under his belt back in Norway. He originally launched his latest album, Songs in Europe with a series of concerts and has since grown his international profile significantly, particularly in Holland, France and Belgium. With all of Dybdahl's success abroad, a U.S. launch totally makes sense right now. I think, given the right amount of promotion, Dybdahl could do well here. 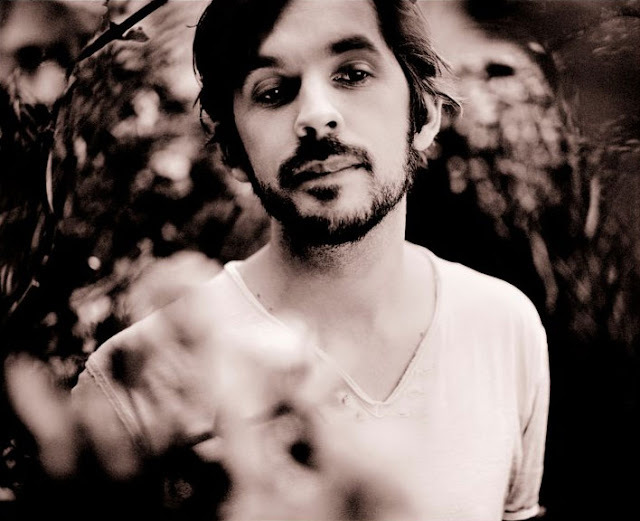 I could see him opening for any number of folk acts that are big right now (Amos Lee, Ray LaMontagne) and winning crowds over with his brand of sleepy folk-pop. "I'm honored to be a part of bringing Thomas' music to the rest of the world. His work has an intrinsic emotional power, and reflects an attention to subtlety that I rarely hear. I couldn't imagine a more exciting artist to be Strange Cargo's first release, as I'm a passionate evangelist when it comes to what he does." I spy a date in Boston - July 16th. I'd love to see this guy do his thing live. What a voice. Download his single "Ceilia" on iTunes HERE and check out the EPK below, where Dybdahl discusses the album and some of the influences behind it. As a special treat you can also download a bonus track called "Party Like It's 1929" by going HERE. Also worth noting, if you like Dybdahl's voice, you can hear him singing on three tracks from UK pop/soul/electro band, Morcheeba's sixth studio album, 2008's Dive Deep (Echo/Ultra Records). 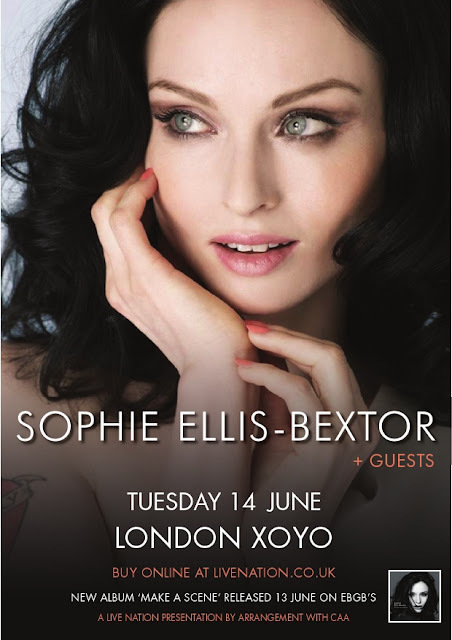 Sophie Ellis-Bextor will be celebrating the release of her fourth album, Make A Scene on June 14th via her own label, EBGB in London and tickets are available to the public! YET ANOTHER reason I wish I lived in the UK. UGH! The event will be held at XOYO on Tuesday June 14th, with tickets available at Livenation.co.uk, check out the promotional poster above. Hopefully someone reading gets to go and can tell me who the "GUESTS" are. So jealous! Make A Scene will be Ellis-Bextor's fourth album and features a mixture of pop, disco, Nu-Disco and 80s electro. Sounds right up my alley! New single, "Starlight" is a "chilled dance anthem" with a "soft but edgy beat," a perfect taste off her album. Make A Scene features a whole slew of in demand dance-pop producers and songwriters including Freemasons, Greg Kurstin, Calvin Harris, Cathy Dennis, Metronomy, Richard X and Armin Van Buuren. The album's opening track, "Revolution," was co-written by Ellis-Bextor, Greg Kurstin and Cathy Dennis, while "Off & On," features production by Calvin Harris, who originally penned the track with Róisín Murphy in mind. The album also includes previous singles "Heartbreak (Make Me A Dancer)," "Bittersweet" and "Not Giving Up On Love." Check out Sophie Ellis-Bextor on tour this summer when she joins Erasure and Bryan Ferry as well as a few headlining appearances at various UK festivals. You can also keep an eye out for Sophie when she makes an appearance on The Feeling's (her husband's band) new album, due June 19th. Sophie's single, "Starlight," is out now in the UK and you can pre-order the album on iTunes HERE. Get ready for new Sophie on June 13th!